Springtime Flowers in the Smoky Mountains! 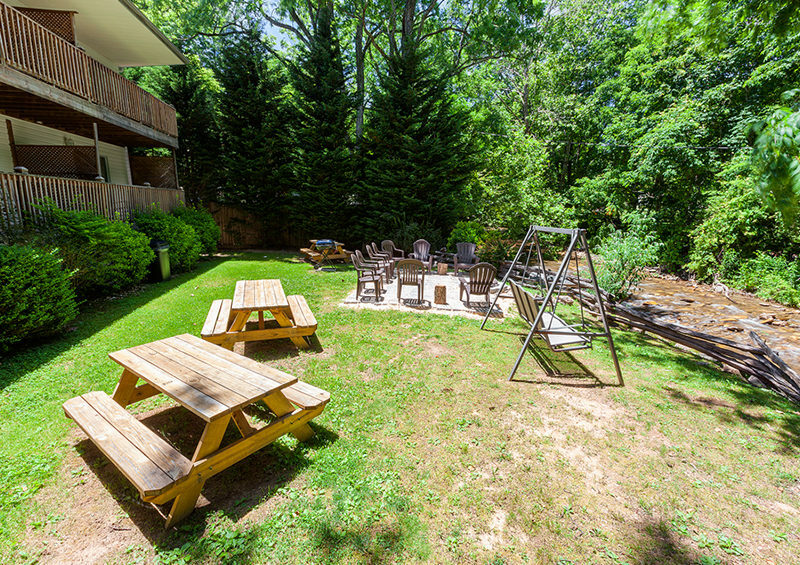 If you love springtime and flowers in one beautiful mountain setting, then the Smoky Mountains are the place for you! Endless spring flowers that weave their way across the mountain terrain of the Smoky Mountains are simply a breath-taking sight! With over 1500 types of flowers reportedly found there, The Smoky Mountains National Park is a world-renowned bio-diverse reserve, and is also home to the largest variety of flowering plants than any other national park in North America. This incredible wildflower variety is the very reason why the park is also sometimes called “Wildflower National Park”. A particular type of springtime flower called the “Spring Ephemeral” is first to kick off the yearlong flower lineup. The reason these flowers are called Ephemerals is that they are visible above the ground in the late winter or early spring and then blossom, bear fruit and perish within their short lifespan of just two months. Ephemerals typically emerge between February and March, and then disappear by May or June. Ephemerals are a unique group of flowering plants that adapt themselves to the life cycle of the overshadowing trees. Ephemerals gain most of their growth before the leaves of deciduous trees mature. During this time, full beams of sunlight hit the forest floor and these flowers experience a fast growth rate! The moisture and nutrient level in the soil is high during this time, due to the breakdown of leaves that were shed during the previous autumn. These Ephemerals use these optimum conditions to their benefit by growing, flowering, and bearing fruit at this time. Before the summer hits with all its strength, parts of Ephemerals located above the ground begin to decay. Spring flowers uniquely distribute themselves all over the park in accordance with the varying altitudes of the park. Typically, peak time of wildflower blooms at the lower reaches of the mountains is in April with blooms reaching their peek in the following weeks at the upper reaches of the park. The springtime flowers in the Smokies include some short stalk flowers like the trillium, of which, the park houses at least 10 different species. Located on the shrubs much closer to the forest floor, the bright yellow, small flowers of the spicebush bloom in the month of February. These are accompanied by the sweet shrub, the flame azalea and dog-hobble. The park is also popular for its famed displays of mountain laurel and the widely popular rhododendron. The beautiful white and pink flowers of the mountain laurel, begin blooming in the month of May, and continue blooming through June. The Catawba rhododendrons, which thrive primarily at heights above the 3,500 feet mark, usually reach their peak in the month of June. At the same time, the Rosebay rhododendron blooms at the lower reaches a little later in July. During the summer, the gorgeous wildflower display continues with the brilliant red or “cardinal” wild flowers, butterfly weed, pink turtleheads, Turk’s cap lily, tiny purple-fringe orchids, Black-eyed Susans and jewelweed. By the late summertime and during the fall months, the goldenrod, the tall ironweed, mountain gentian, beautiful sunflowers, the monk’s hood, and a number of species of asters start to bloom. In addition to the blooms of beautiful wildflowers, the mountain landscape is dotted with trees and wild shrubs that also bloom throughout the year. From the month of February through the last week of April, the red flowers of maple trees wash the mountainside with their brilliant red paint! This is followed by trees such as the serviceberry, flowering dogwood, silver bells, redbud, and tulip trees. In the summer months, Sourwood trees are popular. The Sourwood tree is considered valuable for the honey produced by bees attracted to the trees’ small, white, bell-shaped flowers. Nature’s exquisite display of color is concluded with the appearance of the yellow Witch-hazel flower, which blooms extensively from the month of October through the last week of January. Every year during springtime, The Smoky Mountain National Park hosts the popular “Spring Wildflower Pilgrimage”. This event is a week long celebration with programs, guided walks and special hikes that help you explore the astounding and awe-inspiring flower diversity that blooms in the park. Whether you are a flower-lover or just a nature-lover, this is a wonderful annual event and a great time to visit the Smoky Mountains! 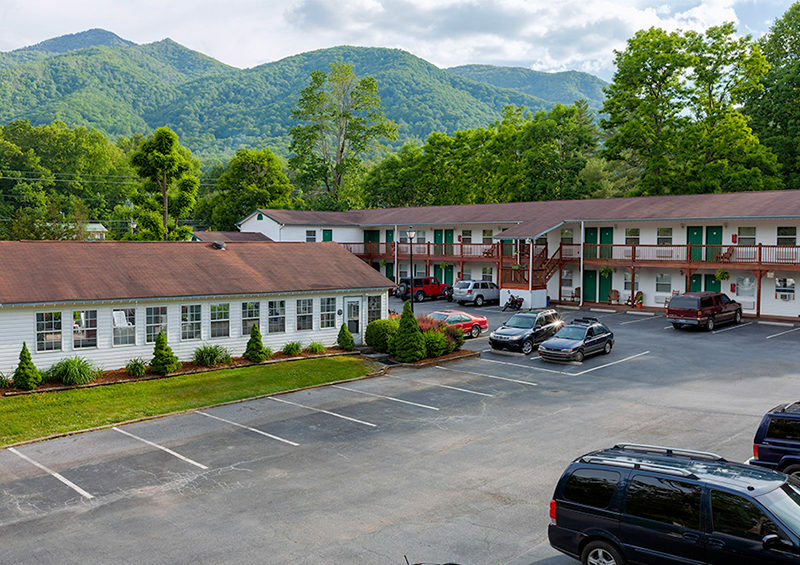 One of the first things you’ll want to do when planning your visit to the Smokies is choose the right place to stay. 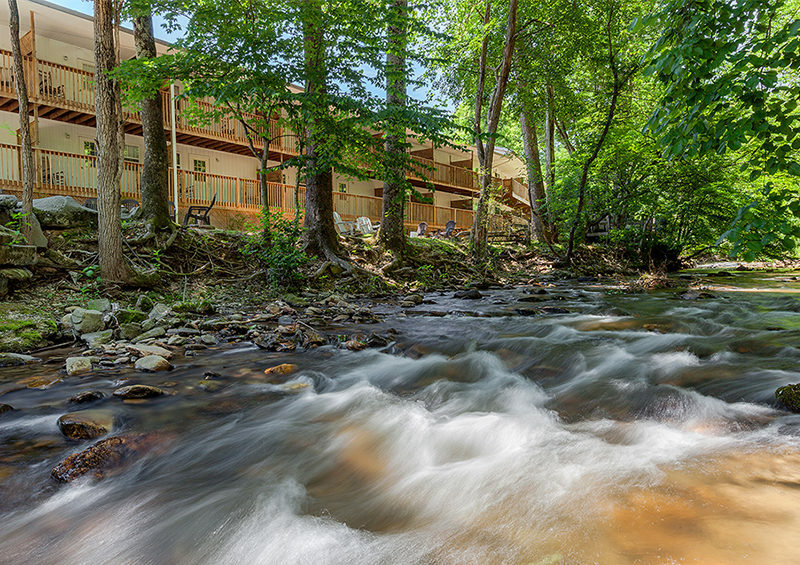 Maggie Valley’s Creekside Lodgehttp://creeksidelodge.com is a wonderful family-owned hotel conveniently located just 30-40 minutes outside of Ashville, NC. 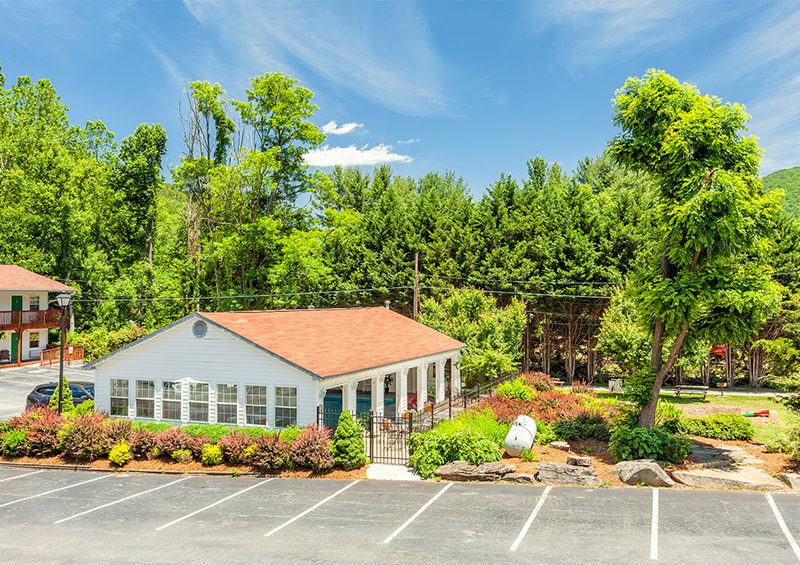 In addition to it’s convenient location, Creekside Lodge offers a warm and relaxing atmosphere where you are comfortable to just sit back and enjoy the moment! Call us today at 800-621-1260 and let our friendly staff help you secure your plans! Then just sit back and prepare yourself to enjoy some of America’s most beautiful spring wildflowers!